To care for those who have been abandoned, relinquished or left behind. To provide services and medications that would restore a good quality of life for the recipient and then place them in a loving home that continues to provide the necessary care that they need. To give HOPE to those who have none. Andy was in desperate need of a leg amputation because of an injury. His owner could not care for him anymore and signed him over to us. He received the amputation and the therapy that he needed so badly. 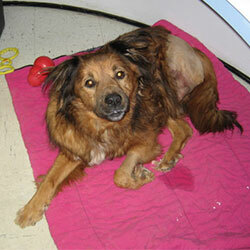 Banshee was in the middle of traveling across the country with her family when she became very ill. Her owners were not able to give her the care that she needed, so she stayed with us. It was very hard for her family to say goodbye to her but they knew it was in her best interest. She received the medical treatments that she needed because of The Hope Fund. After she got better and was able to be adopted, we found her a wonderful home with the Wildman family! Meet Bartow…. He was found, well….on Bartow Highway. He wasn’t in too bad of shape when he came to us, thank goodness! He received his shots, wellness testing and was ready to roll!! His sweet and loving nature found him a quick loving home! This is Catcher. 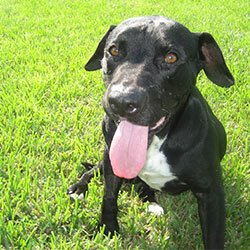 He was diagnosed with heartworm disease when he came in ill by his parents. They could not afford to treat him and he needed to be treated badly. He was turned over to My Pet’s and was treated for heartworms. He found the best home with the Prescott family and couldn’t be happier! This is Cleo. 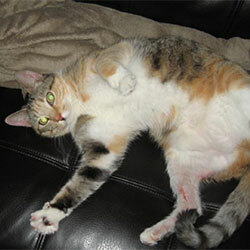 Cleo had a very tragic incident with a garage door, it trapped her leg and hip and caused severe injuries. Her family could not afford to treat her so they turned over her care to Dr. Downing, he treated and cared for her and she is now a part of the Downing family. This is Milly. 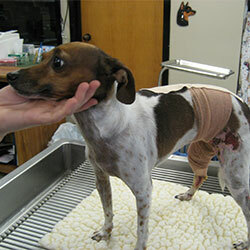 Milly was run over by a golf cart, she suffered severe injuries to her legs and hips. She received the care she needed to recover from her accident and went to live with a loving family. The Hope Fund is not just for cats and dogs. 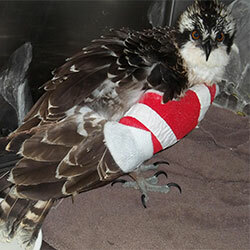 This osprey was brought to us by someone who had found him injured. He had a broken wing and some other pretty bad injuries. Dr. Rothrock repaired his wing, but his injuries just got the best of him. He was humanely euthanized so that he would go in peace and would not suffer anymore. We are thankful for the woman who brought him to us, otherwise he would have suffered. Meet Pugalicious. She was brought in to us when her owners could not take care of her anymore, she had health issues and they could not afford to treat them. 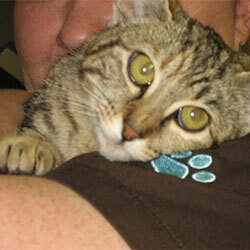 Our doctors treated her and she found a loving home with Dr. Mark’s parents. 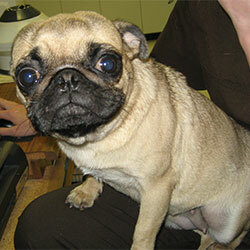 She is a happy and healthy pug who is now renamed “Hope” in honor of the treatment that she received from The Hope Fund. This is Shadow. Shadow was found wandering around our hospital one night while our employees were taking care of the pets who were staying with us. Shadow was actually tied to the tree at the side of our building but broke free. Jennifer and Anne finally lured Shadow to them with treats and water. Shadow was very scared, nervous and confused. Boy was she hungry! 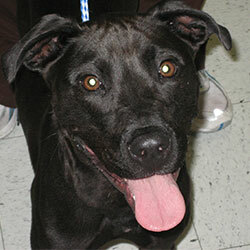 Shadow stayed with us for a while, we gave her vaccinations and tested for heartworms and intestinal parasites. We were all sad to see her go because of how sweet she was and how attached we were to her. Shadow went to live with the Crawford family and they love her just like we did! This is Scruffy. 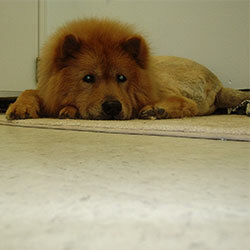 Many of our oldest clients remember Scruffy from “way back when”. Scruffy was found one morning by the receptionists tied to one of the poles outside of our hospital. He was infested with mange so badly that he had no hair. His list of health problems went on and on. The decision to put him down or begin to treat his many ailments was very hard. Could he handle the treatments? Well, he did and he ended up being the sweetest most loving dog ever. 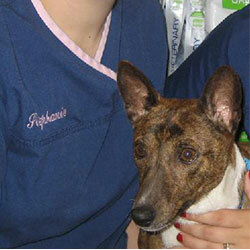 He stayed with Stephanie most of the time and lived part time at our Hospital, greeting our clients as they came in. Scruffy lived a very loving a full life here, but the day came when he could not be saved and we had to say goodbye to our old friend….one of the very first recipients of The Hope Fund. This is Roscoe. 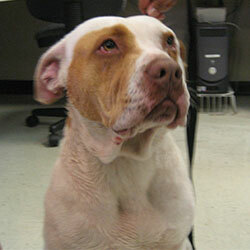 Roscoe was found wandering around the road in Winter Haven with a gun shot wound. No one knew who he was or what happened. The bullet was removed by Dr. Donna and his wound was treated. He is now living happily with the woman who rescued him from the side of the road.